The BoJ has discussed the government of Japan issuing perpetual bonds. The media has said these bonds are helicopter money. So far, I have been able to glean a few insights into the relationship between perpetual bonds and HM. 1. Helicopter Money is not legal in Japan. Issuing base money from the BoJ without some form of sterilization, or an offset to the expansion, appears to be illegal in Japan. 2. Japan is running out of bonds with which to engage in traditional QE. 3. Perpetual bonds can decline in yield, and appear to be counted as equity rather than debt. They cannot be redeemed for their value, and interest is perpetual unless they are created with zero interest. 4. Depreciation of the Yen, Ben Bernanke's idea back in 2000, would require unsterilized action. Zero Hedge reports that this may have been the most recent message in a meeting between Bernanke and the Japanese in July, 2016. 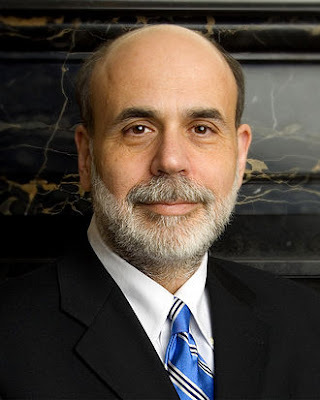 But no sterilization is something even Bernanke and central banks are not keen on doing. The BoJ is unlikely to do it as well, looking at unsterilized floating of base money as being dirty. 5. Japanese government debt can be converted by the BoJ to zero interest perpetual bonds. This is where it gets interesting. If that were to occur, it would be a form of helicopter money. But we would have to see it to believe it. So, what can we learn from this exercise, perhaps in futility? We can see that the BoJ, like most central banks, is just talk, until proven otherwise. The BoJ wants to talk the Yen down. But it won't increase the money supply through adding base money. How perpetual bonds are fashioned will determine if they are a form of helicopter money or not. And there is no guarantee that they will even be created.